Current selected tag: 'pen drawing'. Clear. An excerpt from the book Painting Weathered Buildings in Pen, Ink & Watercolor. It contains useful tips about drawing in pen such as using contour lines, crosshatching, and parallel lines. 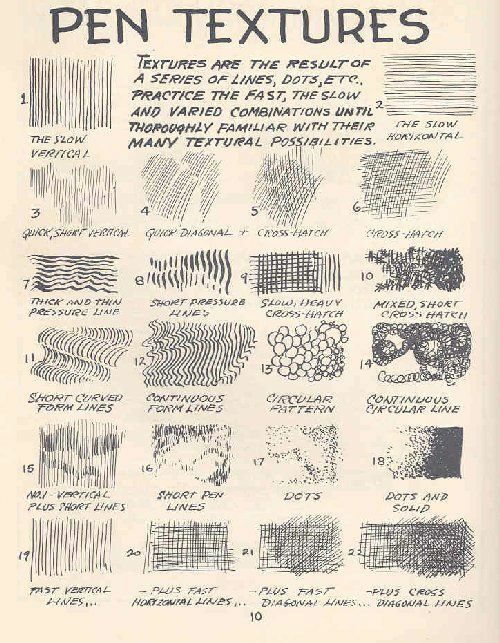 This is a great guide for anyone thinking of learning about the main concepts of pen drawing. 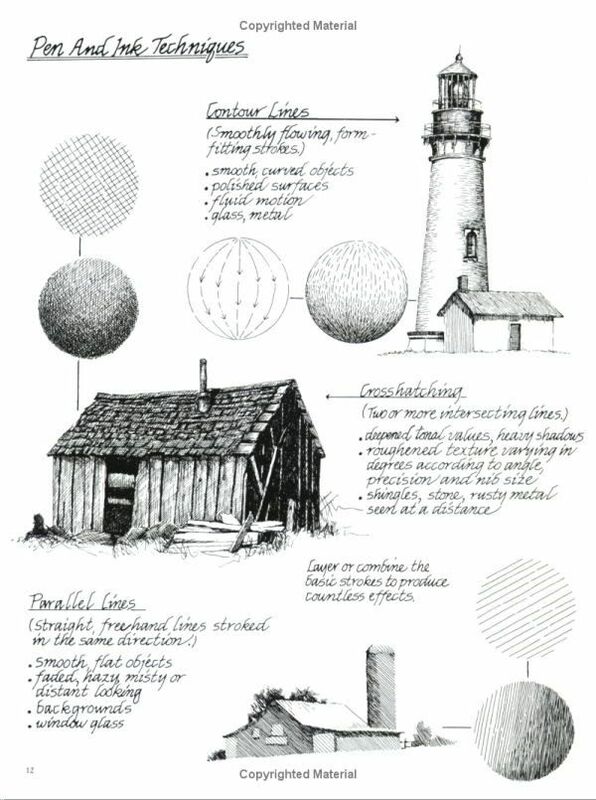 If you're trying to improve your pen drawing skills, this reference guide contains a list of pen textures you can try and emulate in your drawings.